A wonderful compact form of the classic orange-scarlet Oriental poppy. 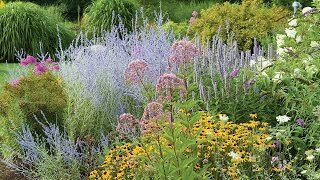 With very stiff stems, it has the same big silky blossoms that everyone loves in the old varieties, but it's in better scale with today's more compact perennials. A terrific garden performer. Poppy may be grown from seed sown directly in the garden, or grown from bare root or potted plants. 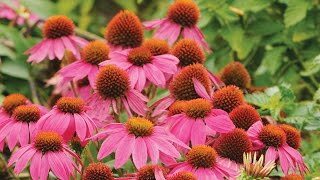 Direct sow in late spring to summer, after the soil is thoroughly warm, in full sun in deep, moist, well-drained, well amended soil. Seedlings will emerge in 10-20 days at 55-70 degrees F.
Thin to about 12 inches apart when seedlings are 2 inches high. Choose a location in full sun with deep, moist, well-drained, well amended soil. Dig a hole twice as deep and wide as the bare root. Spread the roots out in the hole. Hold the roots suspended in the hole at the proper depth. Fill in around the roots with soil until the hole is filled. Tamp the soil firmly to get rid of air pockets and to ensure that the plant is set at the right depth. Because poppies have tap roots, be very careful to not damage the root when planting. Place the top of the root ball even with the level of the surrounding soil. Fill with soil to the top of the root ball. Press soil down firmly with your hand. Because poppies have tap roots, be very careful to not damage the root when planting. Remove foliage when it dies back. Oriental poppy foliage dies back after bloom in mid-summer. Do not transplant poppies as their tap root is easily damaged. Poppies make great cut flowers. When cutting snip the stems just before the buds open. Seal the stems by burning the cut ends with a match before immersing them in water. The seed pods are great for dried arrangements as well. Poppy, Allegro is rated 1.8 out of 5 by 5. Rated 1 out of 5 by Sandy21 from Disappointing order I ordered 2 poppy allergros for my husband as a Father's Day gift. It took 7 days for them to arrive from when they were shipped and they looked questionable. My husband watered them and planted them the next day. However, they never recovered and completely died several days later. What a disappointment! Rated 1 out of 5 by jacqueline from Beautiful plant I was so happy to have it, but it died in a couple of weeks. So sad! Rated 4 out of 5 by Hennhouse from Love Popies I gave a rating of 4 stars only because I ordered it late in the season and so no flowers. Plant looks healthy and looking forward to flowers next year. Rated 1 out of 5 by Wilman from Wish they lived up to the picture. I bought six poppy plants over a year ago. When the arrived, they were very well packed... But tiny... For the price, you can get these at a local gardening center at least four times the size. I planted the six in my backyard where they get plenty of sun. Watered them regularly, gave them plant food. They never bloomed last year. This year, the leaves came up, and I was hoping for the best. The stems never grew and the leaves wilted away. I would not recommend these. Rated 2 out of 5 by WIWYGardner from Not doing well I received this as a start, but it is not doing well. I planted it in the ground, but it doesn't look like it will make it much longer. What do I need to do? ?